Through the lens of a class trip, students learn about places in Israel and then create a scrapbook album about their own class or family trip. Aligns with ACTFL Proficiency level Novice High. Click the Resources tab for a free downloadable teacher's guide! Three delightful new 32-page workbooks complement and expand on Chaverim B’Ivrit y’chidot 3, 4, and 5by explicitly targeting practice of key concepts, vocabulary, and grammar. Scaffolded exercises prepare learners to apply their new Hebrew skills and knowledge in real-life contexts and functions. Written by master educator and Chaverim B’Ivrit practitioner Dr. Esty Gross, the workbooks promote higher order, expansive critical thinking skills. For example, in Chaverim B’Ivrit 5 Workbook students survey classmates to explore individual, family, and cultural eating habits. After tallying the survey results on a chart, learners deduce and explain what they now know about cultural eating habits. They then discuss—all in Hebrew—why some people are not able to make healthy food choices and how they can help those less fortunate living in their local communities. Students connect with one another as they work and play games together in pairs and small groups. Student-to-student interactions are built into many of the activities such as writing Hebrew text messages to one another. Kinesthetic learning is integrated throughout the workbooks. Fun, out-of-your-seat activities encourage movement and physical engagement and help many to retain new knowledge. In Chaverim B’Ivrit 4 Workbook, for example, before discussing their extracurricular activities, students run to different parts of the room to indicate which activities are their favorites. In Workbook 5, learners conjugate verbs while balancing on one leg. Hands-on activities such as drawing and creating short videos promote comprehension and long-term memory. To acquire new vocabulary, students create their own flashcards and add drawings to make the new words personally meaningful, then play card games together. In addition, each workbook incorporates project-based learning, culminating in a project that builds on the newly acquired key vocabulary and grammar. Regular opportunities for informal and formal assessment are included in all three workbooks. FREE! Downloadable Teacher’s Guides — to integrate each workbook with the y’chidah. Contains the details of when in the y’chidah to integrate the workbook activities, numerous teaching suggestions, and ideas for differentiating instruction. The step-by-step instructions and Hebrew teaching ideas in the workbooks and Teacher’s Guides are based on the most current research on second-language acquisition and on socio-constructivist approach to SLA. They incorporate elements of inquiry-based learning, project-based learning, and inclusive teaching. 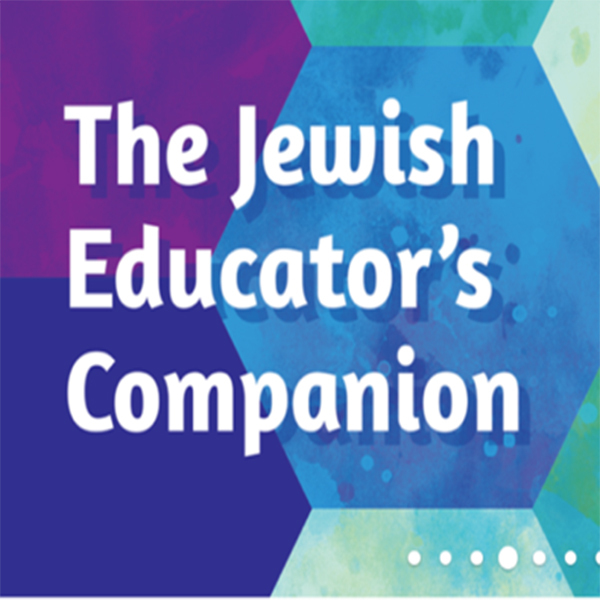 Click below to download these free teacher's guides for the Chaverim B'Ivrit Workbooks.